Sailstar Boats was the predecessor to Bristol Yachts. 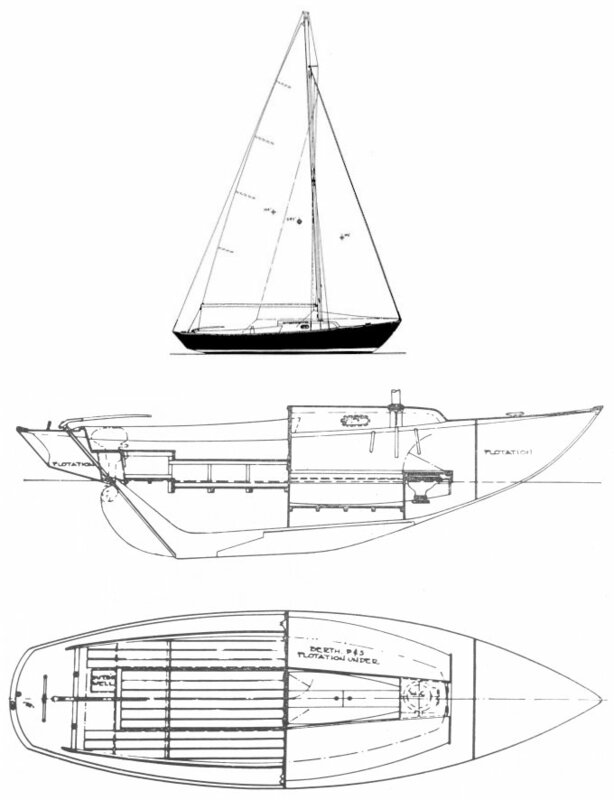 There are two basic versions of SEA SPRITE 23, the DAYSAILOR and the WEEKENDER. The DAYSAILOR cockpit is not self-bailing, the seats are wood, there are doors to the cabin, the mast is stepped on the cabin top, there is a traveler, the rudder post comes through the aft deck, and there is only one set of lower shrouds. The WEEKENDER has a self-bailing cockpit, the seats are molded in fiberglass, there is a companionway and stairs down into the cabin, the mast is stepped forward of the cabin, there is no traveler, the rudder post comes through the cockpit floor and there are two sets of lower shrouds.